i rock paper and scissors: Gleam Catchers - Paper Issues! Gleam Catchers - Paper Issues! 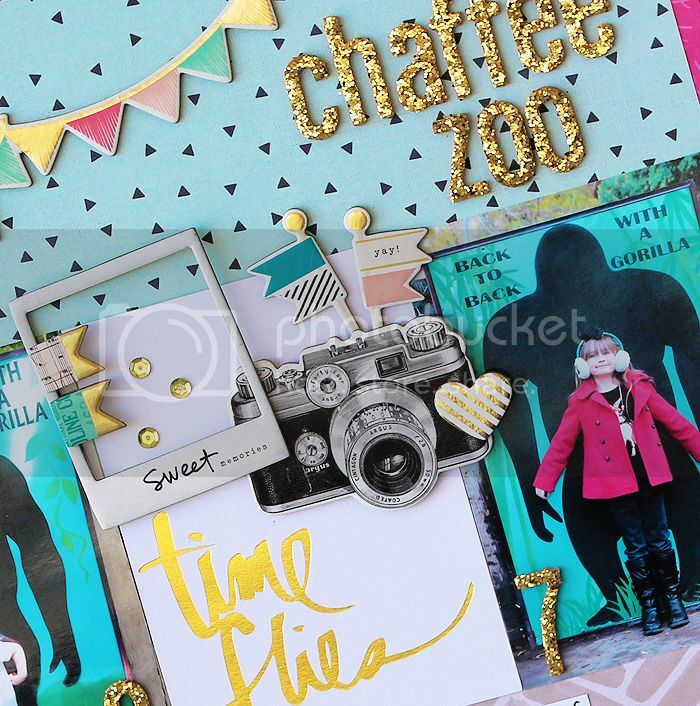 Part two of the July Issue is up over on the Paper Issues blog today! This months theme is "Gleam Catchers", and one of the suggested ideas is to use something shiny. Shiny sounded great to me, so something shiny it is! I used two photos of my girl, both at the zoo, but taken five years apart. I love seeing how much she has grown! 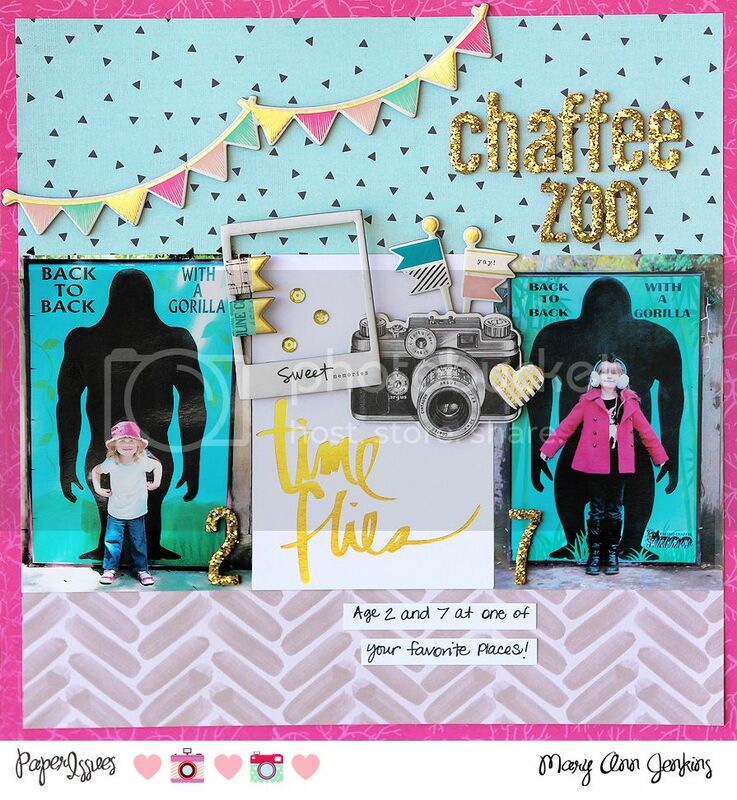 To pull in the "shiny" part of the theme, I added some of my favorite glitter Thickers for the title and numbers, chipboard embellishments that have hints of gold, then used that cute time flies card between the two photos and just a sprinkle of sequins. Don't you just love the shimmer and shine of the gold! Be sure to stop by the PI blog for even more ideas from more of the team, and to join in on the fun. Super cute layout Mary Ann. LOVE the photos.